The 2018/19 Chelsea FC Stadium Home Older Kids' Football Shirt is made with breathable, sweat-wicking fabric to help keep you cool, dry and comfortable on and off the pitch. 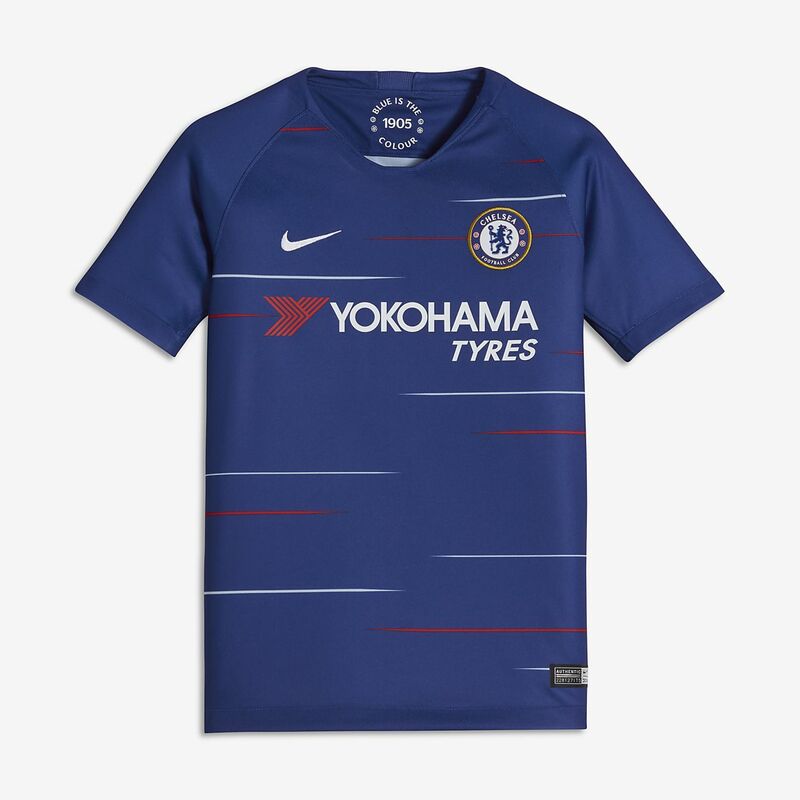 The 2018/19 Chelsea FC Stadium Home Older Kids&apos; Football Shirt is made with breathable, sweat-wicking fabric to help keep you cool, dry and comfortable on and off the pitch. Have your say. Be the first to review the 2018/19 Chelsea FC Stadium Home.